Most of the accessories offered by Modellista are currently on sale. At the 2017 Tokyo Auto Salon, Toyota Motor Japan showcased the C-HR Style Wb based on accessories from Toyota, and Modellista, the Japanese tuner, also brought an accessorised C-HR for display. 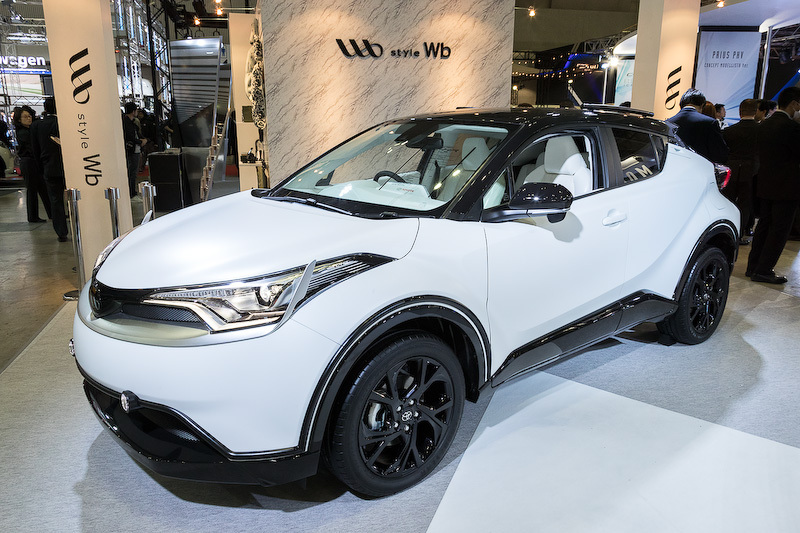 The Toyota C-HR Style Wb is claimed to be inspired by the lifestyle of the modern woman. The Toyota C-HR Style Wb is claimed to be designed around the lifestyle of the modern woman. It has a new front bumper with a black apron, fins beside the headlamps, accent pipes across the profile and a dual-tone matte white and black colour scheme. Inside, it features wood panel around the touchscreen system, rose gold trim on the HVAC controls and vents, and white leather seat covers. 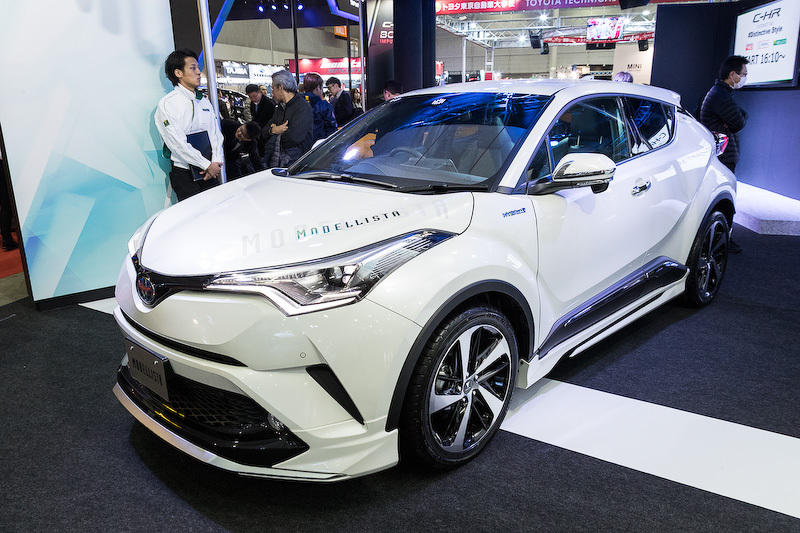 The Toyota C-HR by Modellista is the sportier of the two, featuring an aggressive aero kit, larger front apron and intake, side skirts, large 5-spoke alloy wheels, new rear bumper housing twin chrome-finished exhaust pipes. The Toyota C-HR by Modellista is the sportier of the two, featuring an aggressive aero kit. In Japan, the C-HR hybrid is powered by a 1.8-litre petrol engine producing 72 kW (98 PS) and 142 Nm of torque, which is combined with an electric motor generating 53 kW (72 PS) and 163 Nm of torque. It's also available with a 1.2L turbo petrol engine that develops 85 kW (116 PS) and 185 Nm of torque.